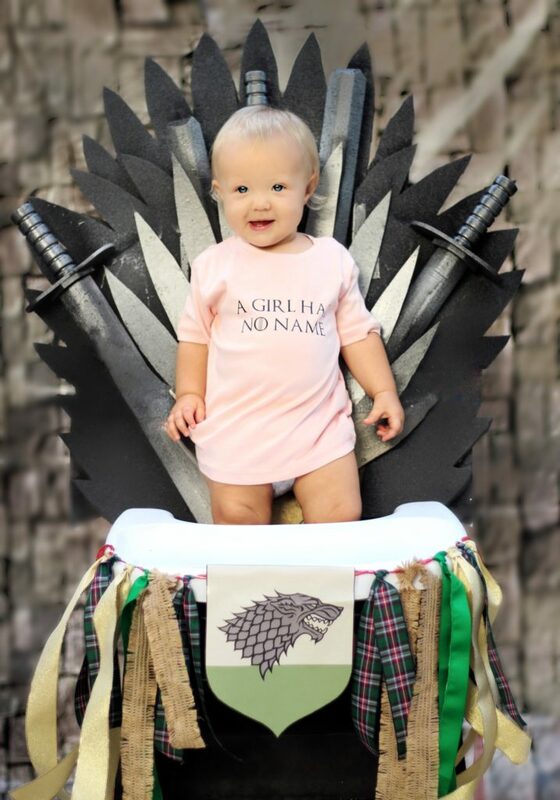 If you ask my husband, he’d say we named our daughter after Arya from the acclaimed Game of Thrones series. While that’s not the case, we do like watching the series and are eagerly awaiting the final season. 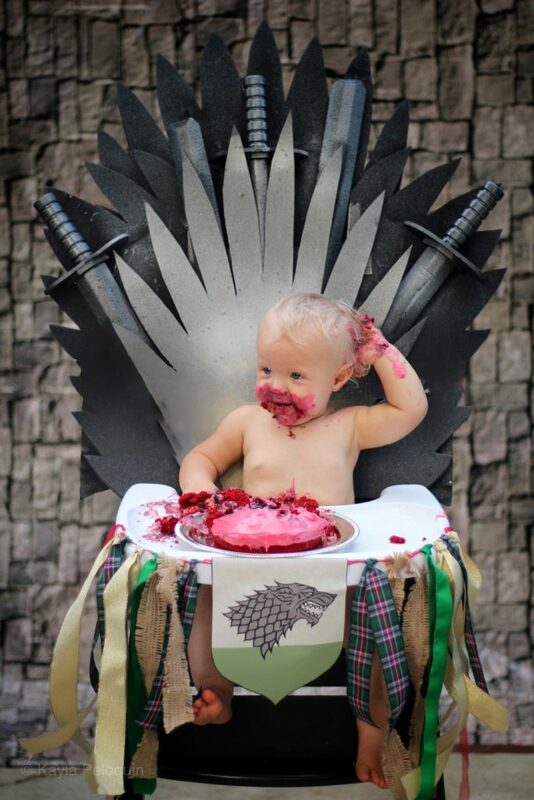 I jokingly said we should plan a Game of Thrones First Birthday to help cope with the lack of shows this summer. 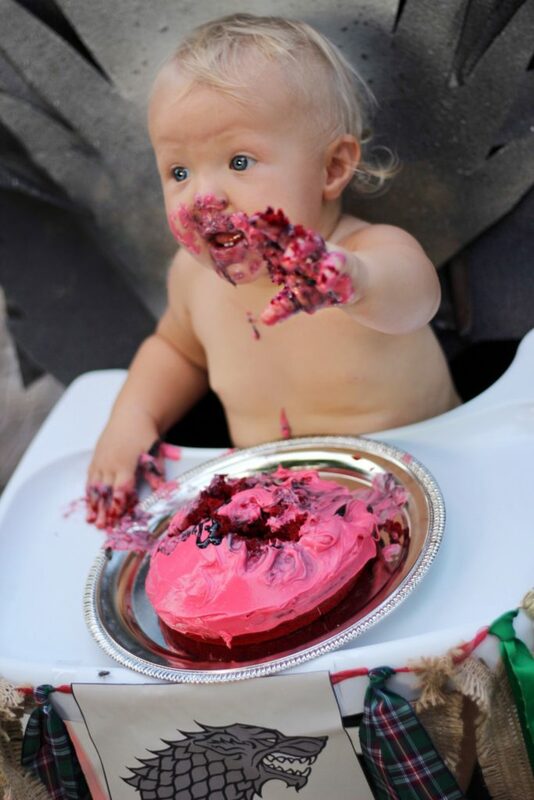 While it didn’t make the cut for her birthday theme, we did compromise on a themed cake smash for fun pictures. 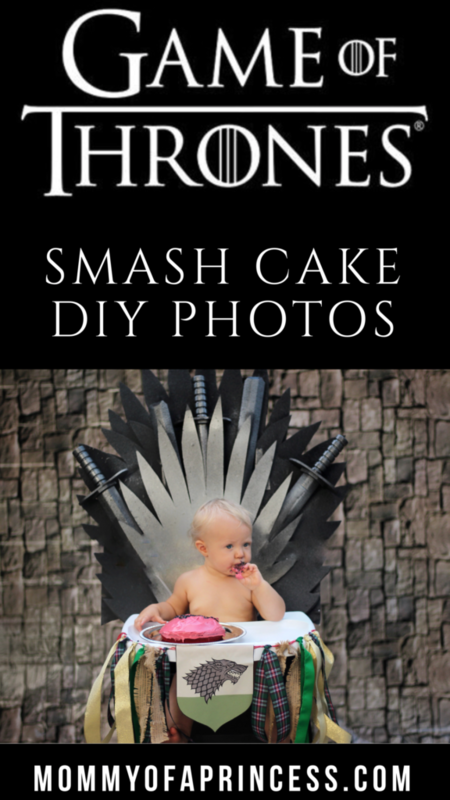 We couldn’t have a Game of Thrones cake smash without an Iron Throne. 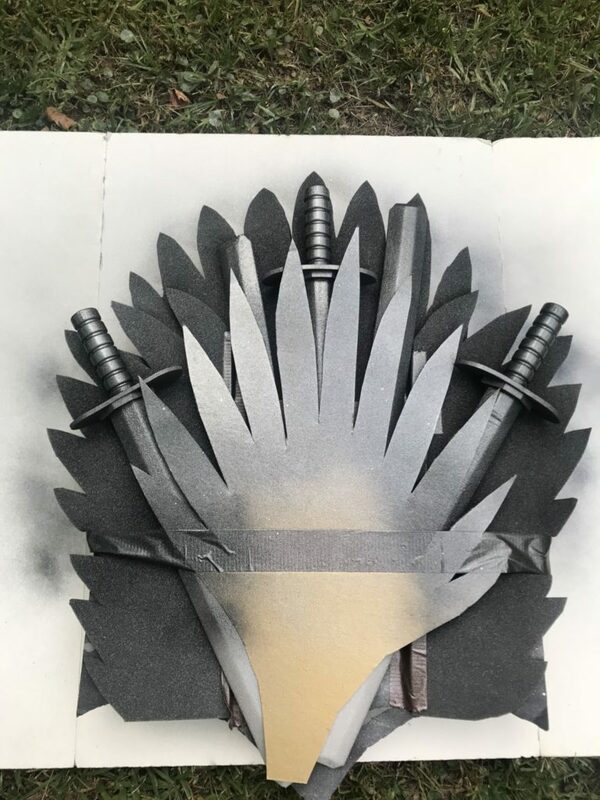 Even though it’s not storyline correct for Arya to be sitting on throne, she’s my favorite character so we made it work. I used a mixture of cardboard, packing foam and swords from the Dollar Tree to make this. It was all glued and taped to an Amazon box which fit precisely over the back of her seat. I sprayed it with black and silver spray paint to finish it off. I baked a Betty Crocker personal size cake that was red velvet flavor to give it the striking red center. 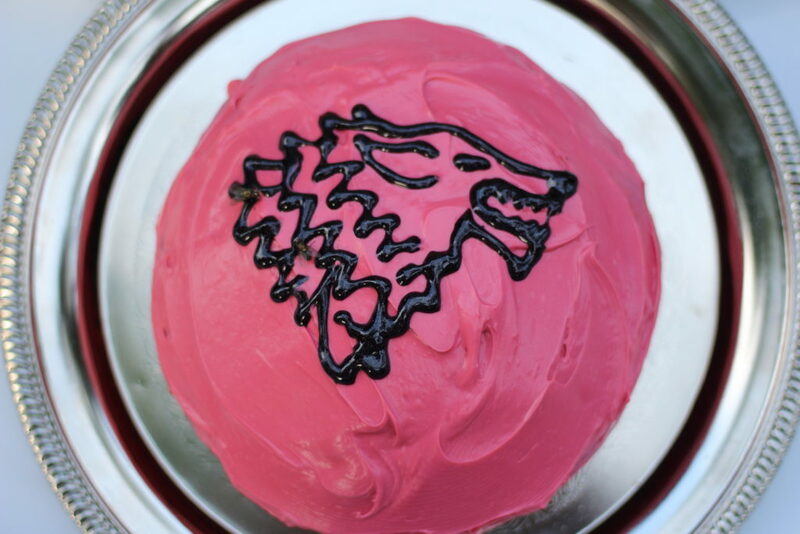 I added red icing and piped a wolf on the top with sparkle gel icing. The silver serving dish is just from the Dollar Tree. 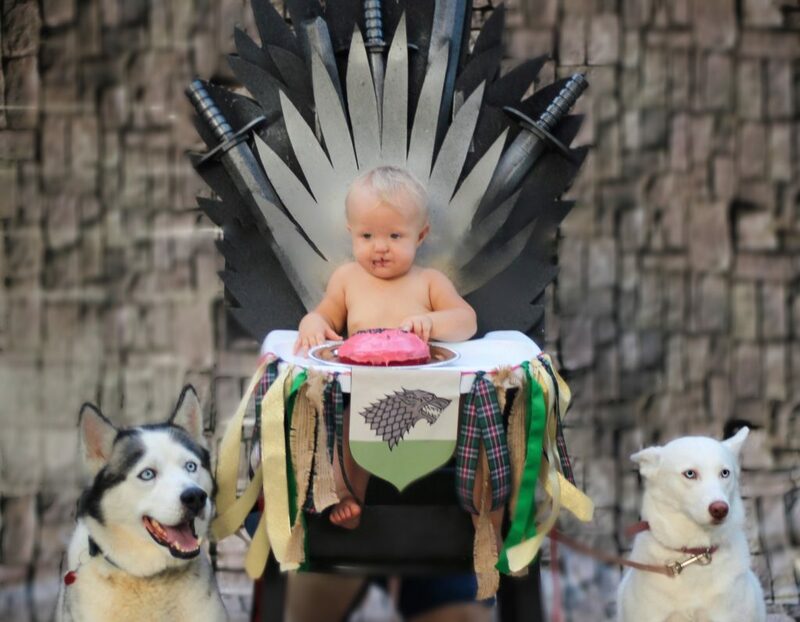 We couldn’t resist including our two huskies, since the Starks are known for their dire wolves. 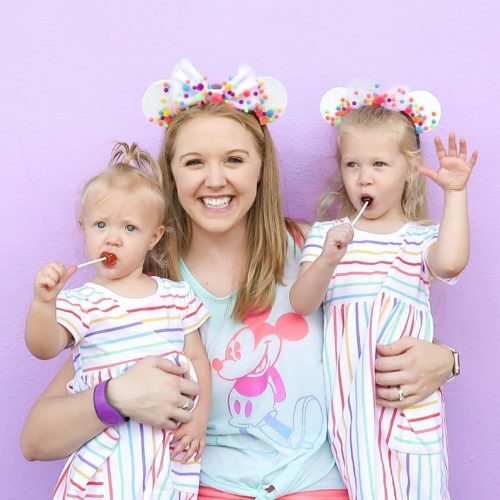 These wolves are not nearly as ferocious and not nearly as well behaved. If you look close you can see my mom’s legs from hiding behind the high chair while she held their leashes.